I have the lucky opportunity with my job to travel often with work. One of the many places I have been recently was El Paso, Texas. At some point, I will make a longer post about some of the food I ate and the places I went but nothing says Texas like a giant Texas Waffle for breakfast. *Side Note. I love Waffles. Seriously Love Waffles. I will eat a waffle over a pancake any day of the week. The best waffles are waffles that are crispy and have deep ridges to hold butter and syrup. 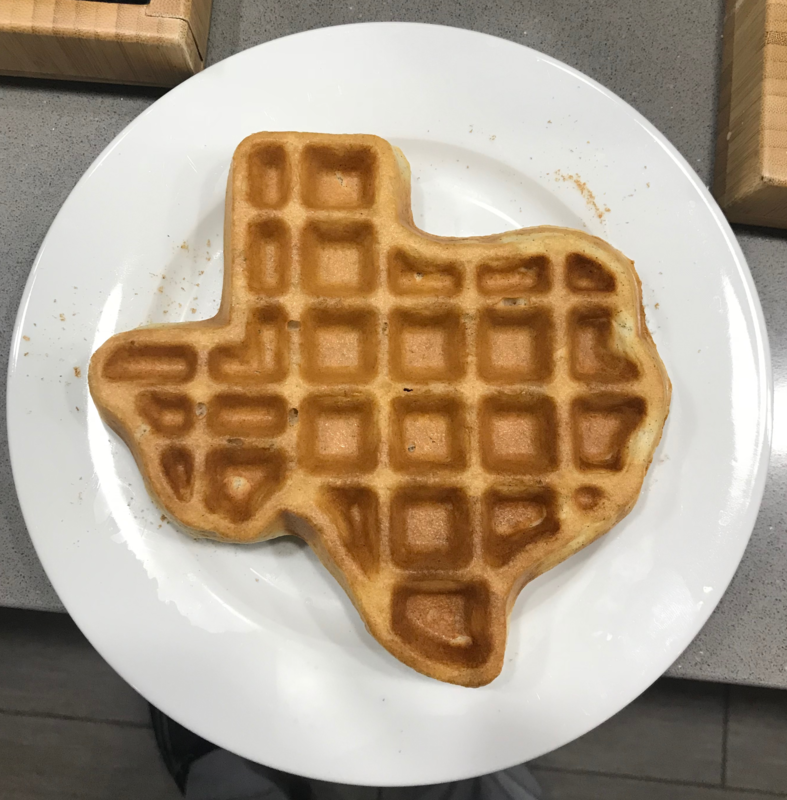 I made a mess eating Texas. I love doing meal prep! I have been doing meal prep off and on for just over a year. 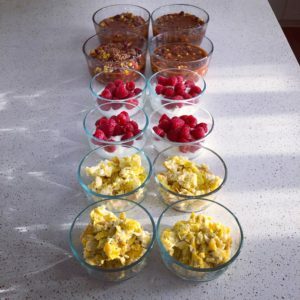 I recently have built a new home and one of the things I wanted in it was the ability to really spread out and do meal prep. I am so glad I got it. I love my island where I can lay it all out. This is one of my recent meal prep meals. 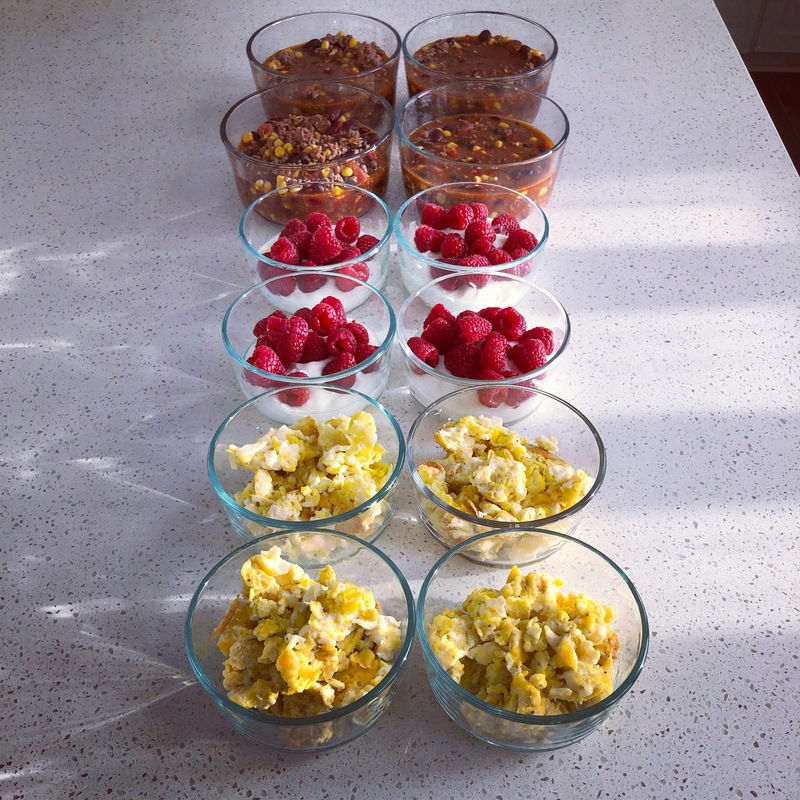 This week I did a couple of scrambled eggs for breakfast. Yogurt with fresh raspberries as a mid morning snack and taco soup for lunch. Meal prep is great because I can plan out what I am going to eat for the week, make sure it fits in my macros, run to the store and then get it all done. It makes the week so much smoother, I feel like I eat better and I save money. 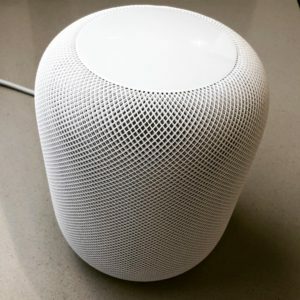 So I got my HomePod today. I was disappointed with BestBuy. I ordered the preorder through them and had a Feb 9 date but it was the ship date. Setup was super easy. My iPhone X instantly saw it once it was plugged in and away it went. The trick with it is the “Home” App. The HomePod settings all live in there. I received a call from my grandma on it and the sound was really clear. It was easy to trade it back off to my iPhone. It works really well with the room setup I have with my hue lights. So far, I am really impressed with the HomePod. I am excited to play with it for the next few days. I have a peppermint plant that I bought at my local Smiths Grocery Store that I forgot to water. When I finally remembered, I could see it coming back to life. I pulled out my iPhone X and recorded it. Here is my timelapse. The last few weeks have been busy. Really busy. I have had a lot going on with work and with family. On the weekends, I have had both a mud race and a ragnar relay. Because I have been so busy and had long races on weekends, I haven’t been focused on meeting my daily goals. I havent been too concerned though either because I figured my weekends would make up for my week. On ragnar, for instance, I met the move goal by more than 300% and earned the 300 badge. I figured all of the weekend exercise would make up for what I missed here or there. I finally decided it was time to check in and get on the scale. I found out that I am up 2 lbs. One time workouts don’t solve the problem of stressing or poor diet. 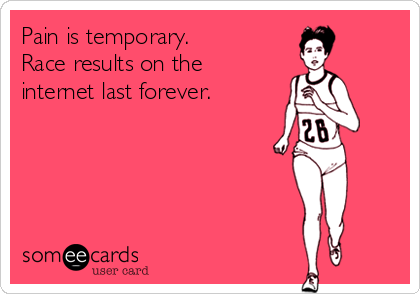 Sure, they are better than nothing (don’t quote me on that-I’m not a doctor) but getting fit isn’t quick and easy. If I am serious about this, it is really about changing my lifestyle if I want to change my life. I can’t rely on exercising here or there to make my goals. Eating healthy on Monday doesn’t mean I can eat everything and anything the rest of the week. I need to focus on meeting my goals daily, weekly and monthly. I think daily work on a lifetime goal is hard. I am not seeing the benefit of my run instantly. I am not seeing amazing improvement everyday. If I do 100 situps right now and then rip off my shirt, I won’t magically find six pack abs. I don’t feel the instant gratification of change. Now, I do feel better after exercising. I do feel better when I eat healthy. Sometimes it is still hard for me to weigh the benefit of how I will feel after compared to how I feel now. I feel great after I finish a marathon, or a hard work out, etc. but during, I don’t want to do it all the time. I want to quit. I think its at those moments that I have to recommit to my goals and see it through. 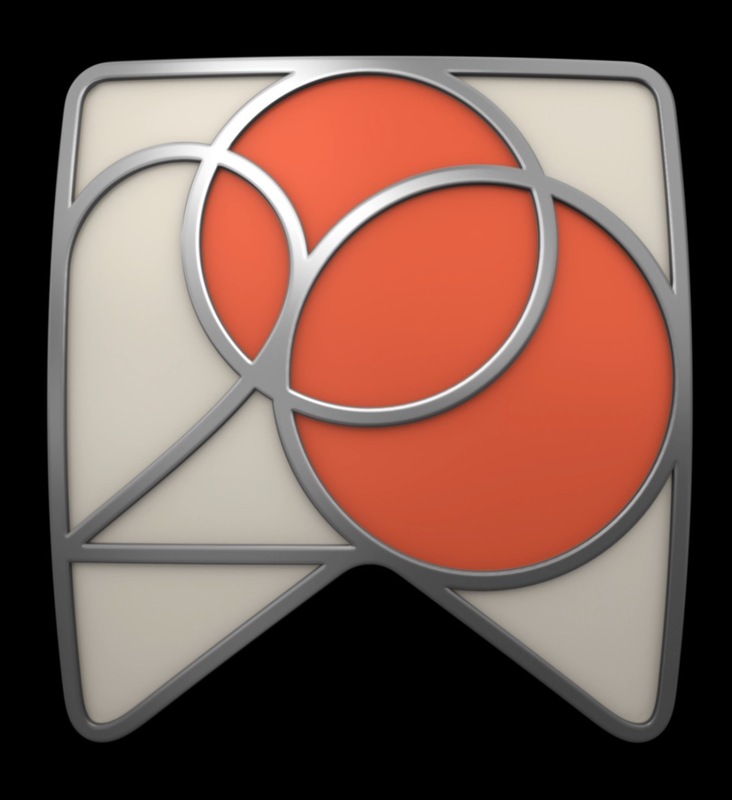 I have been glad to have the watch with Apple’s daily reminder helps me recommit to live healthier everyday. I am even grateful for it as a reminder even when I don’t follow through. I am excited to jump back into this and keep working towards my goal. 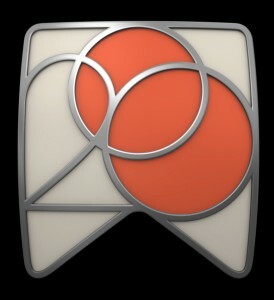 I like that Apple restarts its goals each week with a summary from last week to propel you into this week. It gives me an easy opportunity to recommit and continue working towards my goal. This week was Apple’s World Wide Developer’s Conference. I have not attended one of these but would like to in the future. The event starts off with the Keynote. I think Apple has found that more and more non-developers watch the conference and they have made the event more entertaining as time has gone on. In the keynote, they gave a few short demonstrations of the new iOS, watchOS and OS X. I am excited about the new watchOS, I may decide to try my hand at writing an app in swift since apple will now offer native app support. I am interested to see how iOS 9 will know when I am in the bedroom, the kitchen, the exercise room etc. as it did in the demo. I have seen rumors floating around the internet that the new apple tv will be like the base station for homekit and homekit enabled devices will all be hooked into that. I am assuming that this is true and that siri will be able to turn on home kit devices based on that information. With the watch demo, they had siri change turn the lights on in the kitchen. I know some work arounds through ITTT that will allow this functionality, but not anything apple specific. I am excited for the updates to Safari on OS X like tab pinning and volume control right in the browser. I like the side by side functionality of windows as well. I thought microsoft had a great idea with that and am glad to see it come to a mac with a few upgrades like resizing of the windows automatically and the new windows management abilities. I look forward to the updates and am sure more announcements will be made before the fall iphone launch. I am now 186.2. Down 4 Lbs since I started this challenge. I am super excited about it. I am excited to keep going on this challenge and really get going with losing the weight and getting as fit as I want to be. I worked on my bike over this weekend and will start adding biking to the mix of running and circuit training.